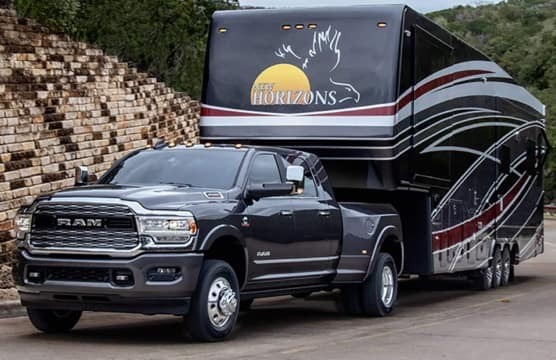 Meet the all-new 2019 RAM 3500! This powerful, heavy-duty pickup can haul up to 7,680 pounds. With 1,000 pound-feet of torque, you won’t have to stress when adventuring over steep hills. The 2019 RAM 3500 is the most capable heavy-duty pickup truck ever! Contact Antioch RAM to learn more information. Serving Waukegan, Gurnee, Antioch and Chicago, Illinois.